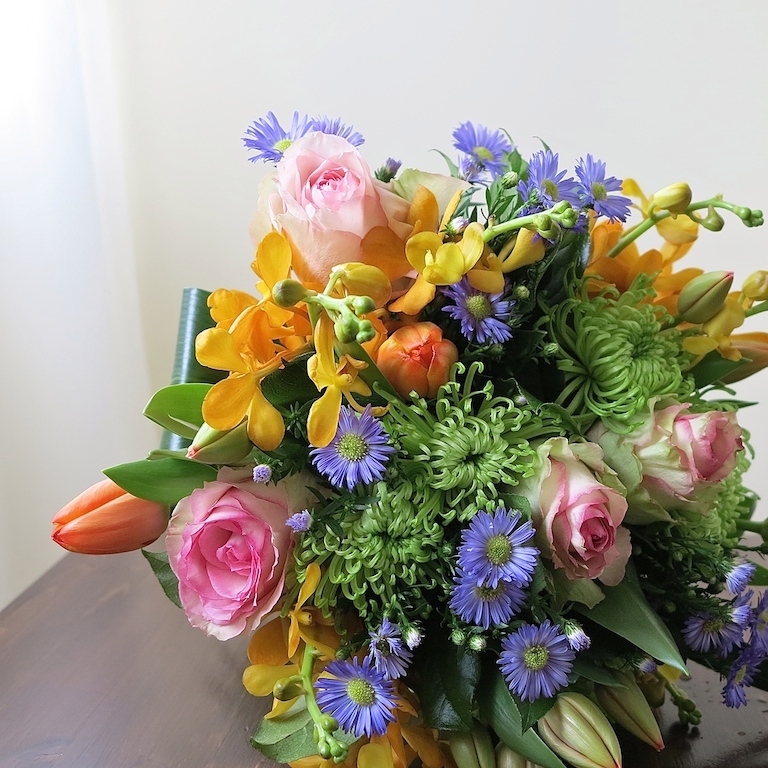 Hand tied bouquet of orange orchids, red tulips, pink roses, green mums & blue daisies; gift wrapped, no container. Hip spring gift just a click, tap or call away. 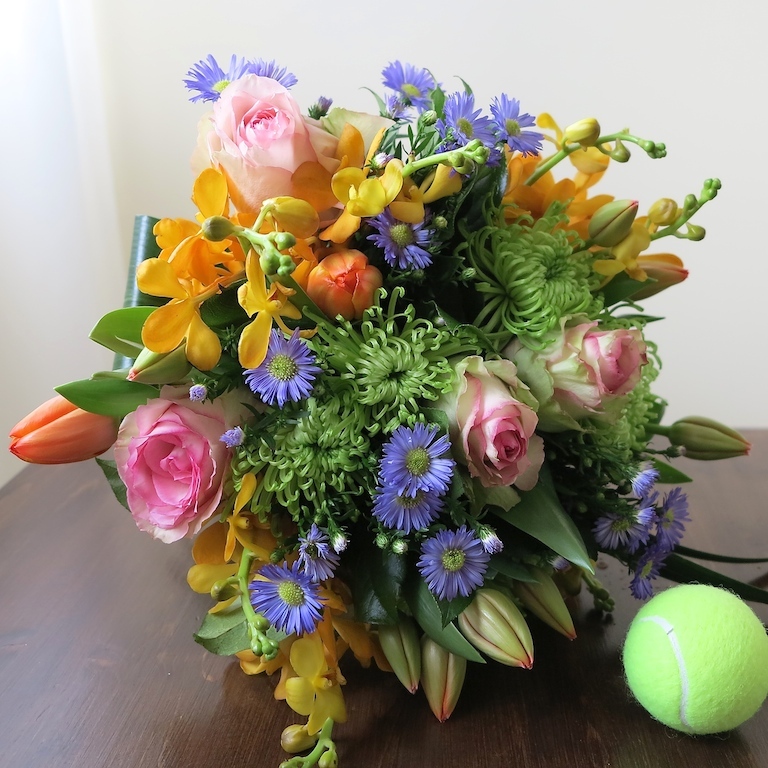 Recommended as Birthday flowers, Love & romance or New baby floral gift. Enjoy mobile and online shopping at local Toronto florist. If you need any assistance please call us at local Toronto flower shop. We offer GTA & downtown Toronto flower delivery.